Today (July 1) was our 2nd neighborhood medical clinic, and we held it next door to the place where we’re all staying – New Creation School. New Creation School is part of an area Loving One By One owns/operates, and the entire complex is called Graceland. No, Elvis isn’t here. That’s a different Graceland. So, we’re staying in our houses at Graceland, and we set up our neighborhood medical clinic at our school at Graceland. So, as for today – look at the above left photo. The line was like that ALL DAY LONG. Our preliminary numbers were just under 900 patients, though it felt bigger than that. Of those patients, 157 people, mostly children, tested positive for malaria. Several people were hospitalized or sent for further medical evaluation. One woman was on a stretcher, because she broke her back several years ago, and was told she was fine using a wheelchair – nothing was ever actually done for her back. Today, here on my fourth trip with Loving One by One, I felt proud and overwhelmed at the same time. Proud, because on my first trip in 2011 this place we were working today was just a bunch of wild, undeveloped land we had just purchased. Today there are three houses and a school, as well as a permanent medical clinic under construction, hopefully opening later this year or early next year. I was proud that we could provide free medical care for all those people, including malaria treatment for so many children; malaria is the number one killer of children in Uganda. I was proud that 90 people can see better because of the reading glasses so many of you continue to donate each year. I was proud that 35 people could come together thousands of miles from their homes, and run like a well oiled machine. But it was also overwhelming, because some days it seems the more needs we meet, the more we find. The 800-something people we helped are just a drop in the bucket in our community, a community full of all kinds of preventable/treatable illnesses. So we’re in the right place, doing the right things. It’s just going to take a long time. **Photos: left- the never-ending crowd. Right – another wife possibility for me. Today (Wednesday June 28) was our first day in Uganda, or maybe the second day if you don’t count the travel day as a day. Anyway, today was the first day we woke up here and had a somewhat normal day. There are a lot of things we do here at Loving One by One, but one way to categorize it is doing “our work,” vs doing “other people’s work.” Today we did other people’s work, taking our team members to visit the Akiba House, a home for kids with various kinds of cancer. I’m sure I’ve written about this place before on the blog, but in a nutshell, if you have a kid with cancer (far too common in Uganda), you can stay at this place FREE while your kid has treatment at the nearby hospital. If you can’t afford treatment, Akiba House pays for that as well. There were 17 kids at the house today, all in various stages with various cancer. We saw a girl LOBO has been working with for several months, whose name is Grace, and Grace’s condition was incredibly good. I had been following her photos on Facebook for several months, and she has gone from having a tumor almost completely covering her face, to the tumor about 75% gone. Unfortunately, there was also an 11-year-old boy named Latif, who was struggling with Stage Four of whichever cancer he has. His tumor is about the size of a football, and this is a pretty small kid. Sorry about the graphic photo – but this is Uganda, and this is what a lot of children are dealing with. Thankfully, the Akiba House is here, and they’ve made life better for hundreds of children and their families. I highly recommend checking them out – they are an organization worthy of your support. Tomorrow (Thursday) we’ll do our first medical clinic, in the Sudanese Slums. Not that that’s the official name of it – it’s just a horrible neighborhood where refugees from Sudan live. It’s one of the poorest areas in Uganda – although that description will match just about every neighborhood where we will work in the next two weeks. So tomorrow evening, internet willing, I’ll have a report on the Sudanese Slum stuff. Happy Thursday! Or Wednesday night! **Below right – Latif. Below right – Kevin, a new boy at Akiba House. Not sure of his diagnosis or prognosis yet. That white object is a tumor. This may be a disturbing post for some of you to read – it’s a disturbing post for me to write. Yet while disturbing, it’s necessary and worthwhile, because people like Maria and Elizabeth are why Loving One by One (LOBO) exists. Maria & Elizabeth are 2-year-old twin girls in Uganda, who LOBO team members found last summer. Two years old – but when we found them last summer, they weighed 10 & 12 pounds each. A little over the weight of newborn babies. Maria & Elizabeth were found living in a home with a 7-year old brother who frequently took care of them, while the mother worked in the fields, or drank with the neighbors. The dad was and still is nowhere to be found. Two years old – 10 & 12 pounds. Oh – Maria was blind in one eye and deaf; Elizabeth was blind in both eyes. And their 7-year-old brother took care of them. Maria & Elizabeth’s situation has improved quite a bit, but they still have a long way to go. LOBO has been able to provide nutrition and medical help. Maria is able to hear now! We are looking into surgery to help Elizabeth have at least some of her eyesight. But there’s still a long way to go – in the U.S., local family services would be called in to intervene. In Uganda, social services are very minimal, and the reality is that no one is likely to intervene in Maria & Elizabeth’s situation. Or in thousands of other situations. But, Maria & Elizabeth are why Loving One by One exists. Maria & Elizabeth’s story is still in progress. I read updates almost daily. There’s hope – but there’s a long way to go. The mother is thankful for our help, and is more or less cooperative – but, there’s a long way to go. I’m looking forward to meeting Maria & Elizabeth when I’m in Uganda in a few months, and I’m hopeful they’ll be healthier and in a better situation overall. 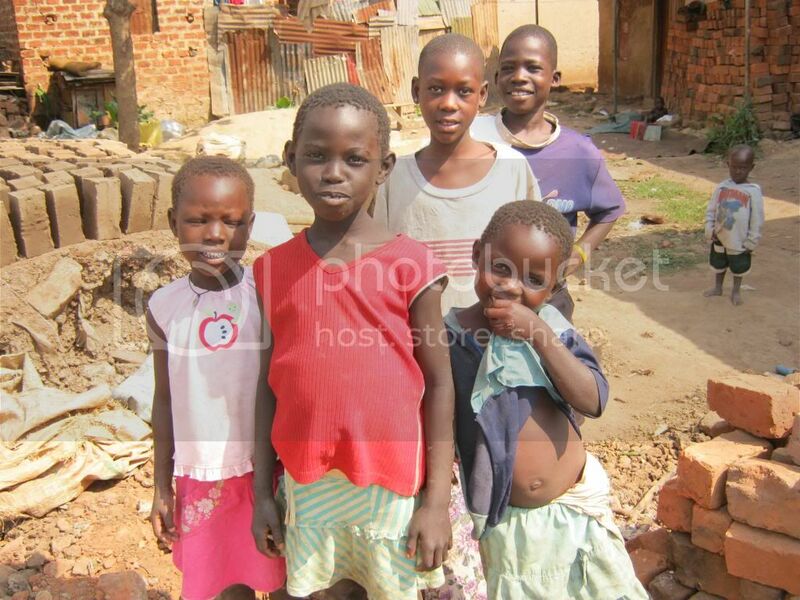 But the reality is – there are way too many Maria’s & Elizabeth’s in Uganda. That’s why LOBO is in Uganda, and that’s why I keep going back. You can help. You can sponsor medical care for kids like Maria & Elizabeth. You can sponsor a child, or a couple of children, in our school. And, just thought I’d throw it out there – you can provide a tax-deductible donation to help fund my work in Uganda this summer. For more information on everything in the above paragraph, email me at charley@charleymiller.net! And, if you’re in SoCal on March 5th, ask me about the “Send Charley Back to Uganda” Concert. You’re invited. And don’t forget about Maria & Elizabeth. Tonight I was looking at photos from my first trip to Uganda (2011), and I found this one. These children are looking through a fence, watching us as we’re setting up for our medical clinic at Namuwongo Slums – at the time, the worst slum in Kampala. It may still be. For some reason on that first trip, I took a lot of photos of kids looking through fences and windows and doorways. They were fascinated by us -a bunch of white people carrying boxes and running around and moving things. We were turning whatever place we were in into a medical clinic for the day. These kids don’t see a lot of white people, so that accounted for some of the staring. But most of the staring was because they wanted what we had. We had clean(ish) clothes, and shoes that matched. We had backpacks and water bottles, and lunches, and iPhones and other cameras. We all thought we weren’t bringing a lot of unnecessary personal stuff, but to these kids, we were literally bringing Costco (not that they know what Costco is). They wanted what we had. But not just the stuff; to be honest, they wouldn’t have a lot of use for most of our necessary stuff. Life is different in Uganda. But they wanted other things we had. Clean bodies. Healthy teeth. No noticeable open sores. Shoes that matched, or just shoes. Guaranteed food for the week. A good chance of living past 45. A hot shower, with clean water. School. They want what we have. Sure, they might like some of our stuff and they might enjoy Southern California life (that’s where I am) for a few weeks or months, but I really think they’d probably be happier in their own country – as long as they could have a chance to live. These kids in the photos certainly saw our phones and wanted them; but at a deeper level they saw LIFE and wanted that. That’s why I go to Uganda. In 2011, 2013 and 2015 I was there, and saw thousands of people who want what we have. This summer I’ll see thousands more (and I’ll talk to hundreds) who want what we have. We can’t give everything to everyone – but we can give medical care and hope to thousands. B) Come to the “Send Charley Back to Uganda” Concert on March 5, and you will have an opportunity at that event to help. Email me for details on the concert (again – charley@charleymiller.net). It’s time to do this again! I’m planning my fourth Uganda trip in a few months, and also planning my third Uganda concert. I didn’t do a concert the first time, but since then I’ve figured out how much fun it is to get friends together to hear great music, and inspire them with stories of what’s happening in Uganda. Three of my talented friends – Alison Freeman, Charles Williams and John Torres – will be there to perform for us. It’ll be in a beautiful location overlooking the Pacific Ocean. There will be cool people there who are fun to hang out with. I hope you will consider coming, if you’re in the area. If you don’t attend the concert but would like to help support my trip anyway, contact me at charley@charleymiller.net and I’ll give you information about that. Any contributions toward my trip are tax deductible. Almost six years ago in the summer of 2011, I went to Uganda for the first time, on a team with Loving One by One Ministries. What I expected to be a one-time visit has now become a major focal point of my life. Now after three trips to Uganda, and after a few years of serving with some amazing people on the board of Loving One by One (LOBO) – it’s time to for me to go back. There are a lot of good reasons to go to Uganda on a LOBO team, but for me the main reason is pretty straightforward – it’s about getting really simple for a few weeks, not being in charge of anything, not being known by anyone, and immersing myself into the lives of people who are (literally) dying from poverty. It’s about doing whatever is necessary to change the lives of struggling people – through education, medical care, emergency surgeries, or other ways. Over a two-week period, LOBO teams provide free medical care to thousands of people. We provide clothing to children whose only new clothing is whatever LOBO brings once a year. We provide life-saving surgeries. We give reading glasses to hundreds of elderly people. Sometime we get involved with people who are terminally ill, and stay involved with them and their families until the end, and then we pay burial expenses. A few people in Uganda know who I am; most don’t. To most Ugandans, I’m just another one of the mzungu’s who shows up to help. The people of Uganda are always thankful because they’re nice people – but they don’t know me from Adam (except for that whole fig leaf thing). I’m just another white face in the crowd of many white faces, just trying to help. They might remember my ukulele I guess; but honestly, the people of Uganda have a lot more important things to think about than a crazy mzungu with a ukulele. While I’m here in California agonizing over which of my ukuleles to take to school on a given day, the average mom in Uganda is agonizing over which of her children will eat on a given day. A different problem entirely. So I’m not personally that big of a deal over in Uganda, and I’m pretty much forgotten once I’m gone. I’m invisible, basically. But our work isn’t invisible, and it impacts people’s lives for years. Over the next few weeks, I’ll be sharing stories of what’s been going on lately with LOBO’s work in Uganda, and sharing some of our new plans. If you’d like to help support my trip to Uganda this summer, send me an email and I’ll give you more information. 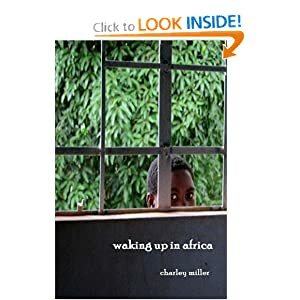 You can reach me at charley@charleymiller.net. Lastly, soon I’ll have information about this year’s “Send Charley Back to Africa” Concert. If you’re in the L.A. area, you’re invited! Actually, you’re invited no matter where you are, but I’m just being realistic. I haven’t written a blog post since May of last year (that was 2016). But it’s a new year, and since it’s an odd-numbered year, you know what that means…. Back to Uganda! This summer I’ll be returning to Uganda with Loving One by One Ministries, for my 4th, count ’em, 4th trip. A lot has changed since my first trip in 2011; actually, quite a bit has changed in just the past year. But through those changes, we still have the same basic focus – through our medical teams, our children’s home, our school and other efforts, we attempt to break the cycle of poverty that so many are struggling with in and around Kampala, Uganda. Blog posts are supposed to be short, so I won’t write a lot in this one. Instead, I’ve posted a handful of fun photos from my first three Uganda trips, to get you pumped up for all that will happen in 2017. And yes – there will be a “Send Charley to Uganda” Concert in a few months, so stay tuned for news on that as well. That’s it for now. Watch for more in the next several days.